Help bring our characters to life by submerging them into real-world scenarios! From getting coffee, to taking the subway, and anything in between, show us how you will feature your favorite IELLO character(s) as they explore our world. Show off your creativity and photography skills for a chance to be featured in the 2018/19 calendar or one of the monthly spreads. From Kong taking over the Empire State building, bunnies (from Bunny Kingdom) at the petting zoo, or a majestic landscape with Unicorn ready to run through it, the world is your playground and we want to see our characters in it! Take a photo of our character(s) in your surrounding world to make the world a little more IELLO. Remember, the more creative the scenario the better! Good luck! We look forward to seeing all of your submissions. Winners will be selected by the IELLO USA team. Enter by visiting here: https://goo.gl/forms/SDco1laABuMaOtwi1 you may also email marketingninja@iellogames.com with the information listed below. Pictures must be submitted in high resolution. No videos allowed. Must be 18 or older to participate. See full contest rules. The A IELLO Inspired World (“Photo Contest”) is open to all professional and amateur photographers who have reached the age of majority in their jurisdiction of residence at the time of entry. Trustees, Board Members, Employees, interns, or partners of IELLO, as well as the immediate family (spouse, parents, siblings, and children) and household members of employees, are not eligible to enter. By submitting an entry to the Photo Contest, entrants certify that their participation in this Photo Contest is not illegal or in violation of any law, regulation, treaty or administrative act, and that the laws of their governing jurisdiction of residence at the time of entry do not prohibit or restrict the receipt of any Prize under this Photo Contest. IELLO USA reserves the right to reject any entry if, in IELLO USA’s sole discretion, the laws of an applicable jurisdiction, including but not limited to the entrant’s jurisdiction of residence at the time of entry, would prohibit or limit IELLO USA from proceeding with the Contest as intended or the consideration or awarding of any Prize would impose additional administrative, tax, operational, or legal burdens on IELLO USA. The Photo Contest begins at 12:00 a.m. on March 28, 2018 and ends at 11:59 p.m. on April 30, 2018 (the “Entry Period”). Entries submitted before or after the Entry Period will not be eligible. IELLO USA is committed to bringing people together through board games. For our 2018/19 Photo Contest, we’d like to see how our characters are featured in the real world. To ensure eligibility for the contest, please submit files no larger than 20MB at the time of entry. Higher resolution files of at least 240 dpi/ppi will be requested should an entry be preselected to be awarded a prize or an honorable mention. All photographs should accurately reflect the subject matter and the scene as it appeared. Photos that have been digitally altered beyond standard optimization (removal of dust, cropping, reasonable adjustments to exposure, color and contrast, etc.) will be disqualified. One sentence description of the photograph. Previously published material for which non-exclusive rights were granted may be entered as long as you still maintain the right to grant us a license (see “Your Rights” below). You must be able to disclose when and where the photo appeared previously IELLO USA upon request. If you choose to include people in your submission, you are responsible for obtaining the necessary releases from the individuals depicted, and must be able to provide copies of those releases to IELLO USA upon request. Photos that violate or infringe upon another person’s rights, including but not limited to copyright and photographs of persons without the necessary consent required by law in your jurisdiction. IELLO USA reserves the right to require entrants to submit evidence of the subject’s legal consent to be photographed for the submitted photograph, which may include a signed waiver from the subject. 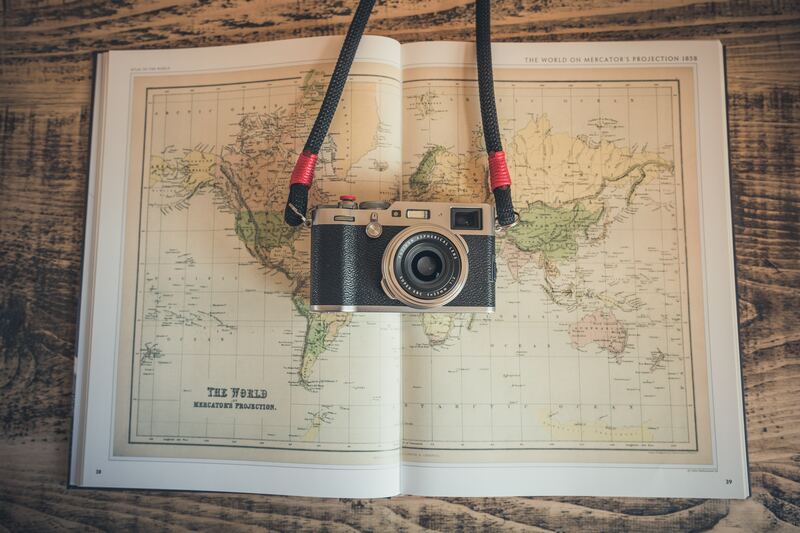 NOTE: Waiver requirements vary by jurisdiction, and the entrant is responsible for obtaining a legally enforceable waiver from any photographed subject. Images that involve the willful harassment of wildlife or people, or damage to the environment by the photographer. IELLO USA shall determine entry eligibility in its sole and absolute discretion. Submissions may be watermarked if desired, but the watermark should be inconspicuous enough to not interfere with the judging of the photo. A watermarked photo might not be honored by the competition (at the judges’ sole discretion) if the photographer is unable or unavailable to provide a pristine, watermark-free version of the image when asked. Images will be judged on originality, technical excellence, composition, overall impact and artistic merit. Allow third-parties to share the photograph on social media. Use the photograph in IELLO’s internal and external communications materials including but not limited to web sites and web publications, fact sheets, fundraising publications, advertising, multimedia, presentation and membership services, annual report, etc. All images must be submitted via email to marketingninja@iellogames.com including name, email and other information about your photo submission. You can select an image directly from your computer desktop, or submit images from Facebook, Twitter, and Instagram for consideration in the contest. You may enter up to 2 images. By entering, you indicate your unconditional agreement to, and acceptance of, these Official Rules, which are final and binding. You cannot win a prize unless you comply with all requirements in these Official Rules. Photos will be judged on originality, composition, overall impact, artistic merit and subject matter relevance to humans and nature. Judging will be conducted by a panel of IELLO employees. IELLO USA will notify the winner via the contact information provided at the time of entry. In the event that the operation, security, or administration of the Photo Contest is impaired in any way, IELLO may, in its sole discretion, either: (a) suspend the Photo Contest to address the impairment and then resume the Photo Contest; or (b) award the prize(s) from among the eligible entries received up to the time of the impairment. Sponsor reserves the right, in its sole discretion, to disqualify and seek damages from any individual who tampers with the operation of the Photo Contest, violates these Official Rules, or acts in a disruptive or unsportsmanlike manner. Sponsor’s failure to enforce any term of these Official Rules shall not constitute a waiver of that provision. Proof of sending any communication to Sponsor by mail shall not be deemed proof of receipt of that communication by Sponsor. In the event of a dispute as to the owner of an online entry, the authorized account holder of the e-mail address used to enter will be deemed to be the owner. The Photo Contest is subject to federal, state, and local laws and regulations and is void where prohibited. By entering, you agree to release and hold harmless Sponsor, Facebook, their respective parent, subsidiaries, affiliates, and each of their respective officers, directors, employees, and agents (the “Released Parties”) from and against any claim or cause of action arising out of participation in the Photo Contest or receipt or use of any prize, including, but not limited to: (a) unauthorized human intervention in the Photo Contest; (b) technical errors; (c) printing errors; (d) late or undelivered mail; (e) errors in the administration of the Photo Contest; or (f) injury or damage to persons or property (including, without limitation, yourself or your own. You waive the right to claim any attorneys’ fees and any damages whatsoever, including, but not limited to, punitive, consequential, direct, or indirect damages. and, in consideration for the opportunity to enter and participate in the A IELLO Inspired World (“Contest”), you hereby grant IELLO and its subsidiaries the irrevocable and perpetual right to use any photograph that you submit for the Contest (“Photo”). By entering you acknowledge that you are the sole and exclusive rights holder of the Photo and that you have the right to submit the Photo and grant the permissions provided hereunder. As such, you represent and warrant that the Photo does not infringe upon any intellectual property, proprietary, personal, privacy, or any other right of a third party. In a kingdom not too far away, there lived a game where people all over the world could play. A team by the name of IELLO grew in excitement awaiting this games release, so a contest they started in hopes the fun would never cease. So enter you may, as indicated below, for 3 FREE copies in total will be sent to both young and old. Don’t want to wait? Pre-order your copy now via your FLGS or online through our store. 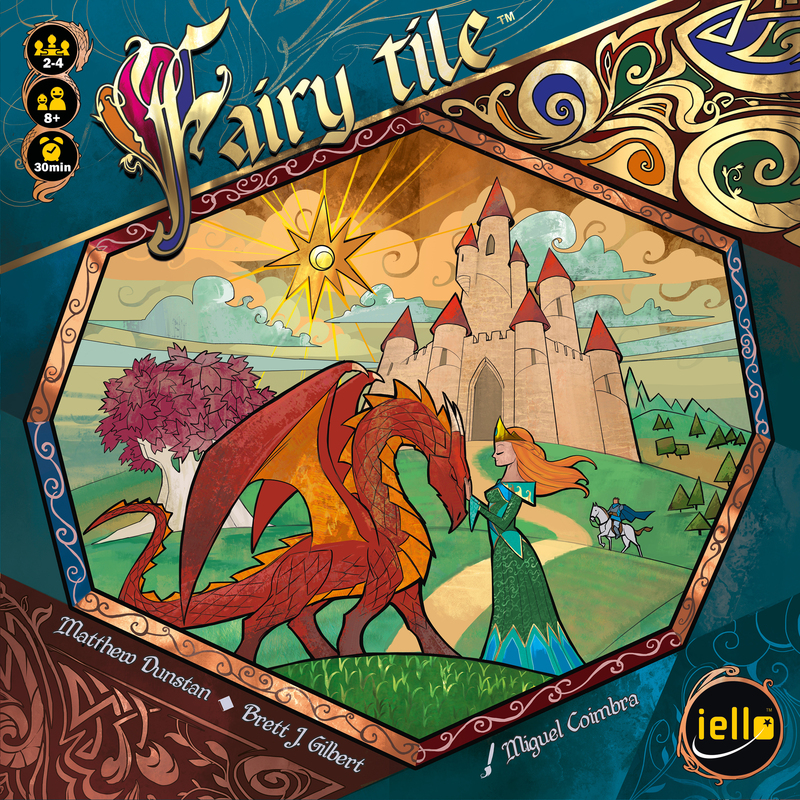 Create your own fairy tale story within Fairy Tile, a Kingdom of magical lands where a daring Princess, a devoted Knight, and a dreadful Dragon roam looking for adventure. They need your help to discover the Kingdom! Help them move further and further to fulfill their destiny and tell their story, page after page. 1. Promotion Description: Times and dates are subject to change at IELLO’s sole discretion. The ‘Fairy Tile’ (“Sweepstakes”) begins on 03/02/2018 at 12:00 AM (Eastern Time (US & Canada)) and ends on 03/04/2017 at 11:59 PM (Eastern Time (US & Canada)) (the “Promotion Period”). By participating in the Sweepstakes, each entrant unconditionally accepts and agrees to comply with and abide by these Official Rules and the decisions of IELLO (“Sponsor”), which shall be final and binding in all respects. Sponsor is responsible for the collection, submission or processing of Entries and the overall administration of the giveaway. Entrants should look solely to Sponsor with any questions, comments or problems related to the Sweepstakes. 2. Eligibility: Open to legal residents of USA, Canada, Mexico who are 18+ or older. Void where prohibited or restricted by law. Sponsor and their respective parents, subsidiaries, affiliates, distributors, retailers, sales representatives, advertising and promotion agencies and each of their respective officers, directors and employees (collectively, the “Promotion Entities”), and members of their immediate families and/or persons living in the same household as such persons, are ineligible to enter the Sweepstakes or win a prize. Prize will only be awarded and/or delivered to addresses within USA, Canada, Mexico. All federal, state and/or local taxes, fees, and surcharges are the sole responsibility of the prize winner. Failure to comply with the Official Rules will result in forfeiture of the prize.